Soviet forces have attacked across Checkpoint Charlie in force and are flooding into Western Germany. Our preparations over the last month has allowed our defense to briefly crystalize and hold back the initial attack into the Fulda gap, but follow on Soviet forces are overrunning many of our positions. Soviet forces are currently exploiting the penetrations in our defenses to cause further confusion in our rear areas and hit our reserves before they are prepared and committed. These exploitation columns are in company to Brigade strength and threaten to surround our remaining defenses if not stopped or delayed. A Soviet exploitation column is pushing west down N454 from Kirchheim in approximately Battalion strength comprised of T-64 tanks with BMP-1 mounted infantry supporting the column. They are reported to be entering Kirchheim at this time and will be in contact with you in approximately 5-10 minutes. They are assumed to be travelling down N454 at speed and most likely will attempt to exit your AO through Oberaula. 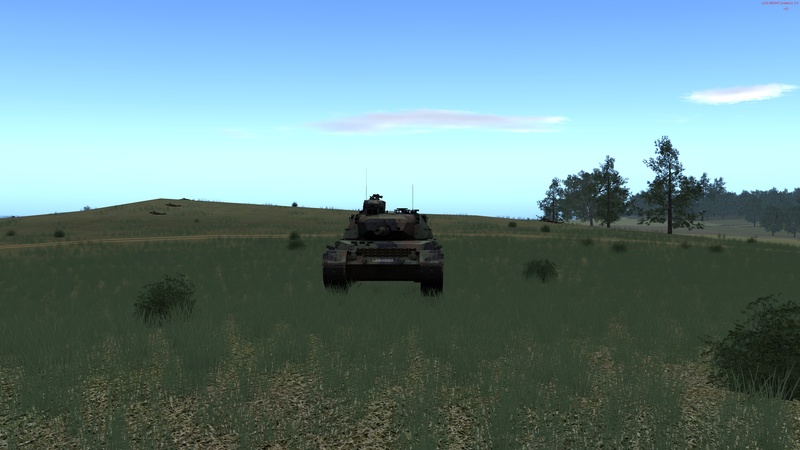 The Bundeswehr 71ST Panzer Brigade is currently fighting a desperate action against the sudden onslaught of Soviet forces and taking heavy casualties. Soviet penetrations must be sealed off and exploitation columns stopped to allow for the impending withdrawal of the engaged Divisions into a secondary defensive line. c) Attachments and detachments: Your platoon of Marders currently has one Leopard 1A5 attached with a further platoon of four Leopard 1A5 tanks currently arriving in your AO and will be OPCONNED into your command. No fires are available for this operation. Using the forces immediately available to you, conduct an ambush operation against Soviet forces advancing down N454 toward Oberaula at this time. Perform an ambush along N454 to delay or destroy Soviet exploitation columns IOT deny the use of this route to enemy forces attempting to enter our rear areas. Do not allow enemy forces to exit west from Oberaula. Deploy your forces in the blue deployment zone, utilizing Milan ATGM crews to destroy enemy units moving along N454. A tank platoon is arriving at this time in Oberaula and is under your command, they should be utilized carefully in the ambush to minimize the drawback of their thin armor. No fires are available at this time. No additional assets are available. 1. The thermals on the Marders have been disabled to represent an earlier model of that vehicle. 2. 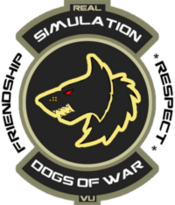 The players will gain control of the tank platoon near Oberaula when the scenario starts. • Complete at least 1 tutorial of Leopard 1A5 or reading the Wiki page for the Marder 1A3.